Symbolizing vigor, health and cultural pride, the kilted shotput thrower has been pulling his weight by pushing things further since 1924. The original champion of breakfasts. 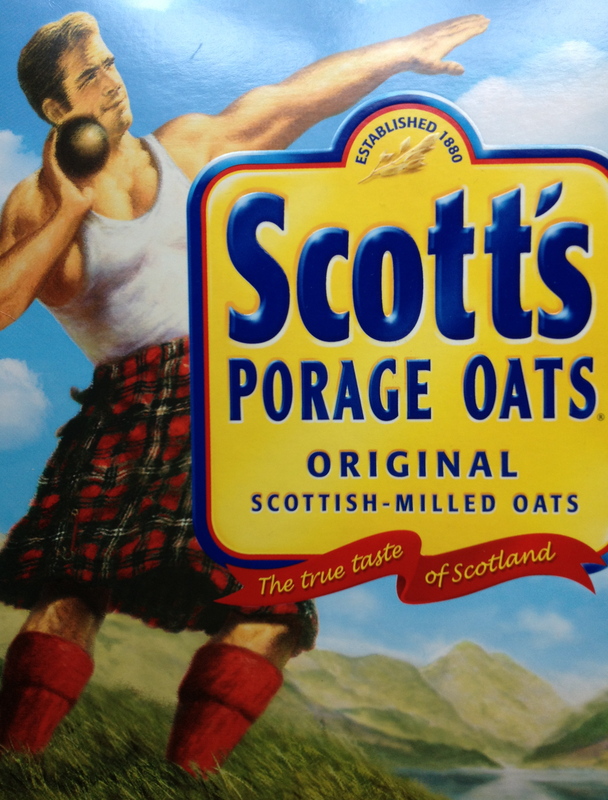 After being the subject of two mid-20th century acquisitions, the 1880-established A&R Scott Company was bought in 1982 by one of its main competitors, Quaker Oats, Ltd. As heritage would have it, the mill at Cupar that the original manufacturer purchased in1947 has become Quaker’s sole supplier of rolled oats for all of the EMEA markets. A feat of stamina and distance, indeed. Bonus: What does “doing porridge” mean? And no Googling.